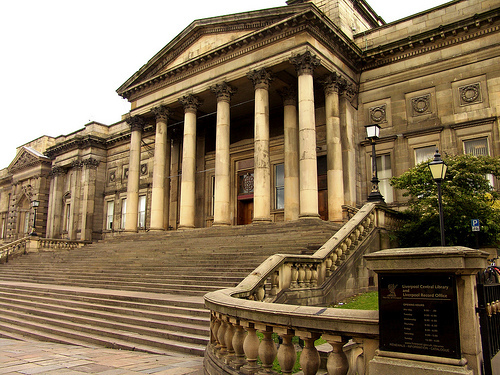 Liverpool to celebrate reopening of Central Library with literary festival. At The Liverpool Gift Company, we get completely carried away with anything that celebrates our cities culture, so we are very excited to hear that Liverpool will be launching a literary festival to celebrate the reopening of Central Library. Taking place later this year, the festival, entitled ‘In Other Words,’ will run from April 23rd until May 17th. The exciting event will open Liverpool up to readings from a range of authors, special performances in a multitude of venues, book swapping and all manner of competitions and debates. With our local council co-ordinating the festival, we’re faithful that the event will help to attract lots of national and international writers to the city, along with countless literary enthusiasts who get to enjoy our stunning architecture over some poetry and prose! The festival will span over some of our most treasured city centre areas including St George’s Hall, the town hall and Central Library ,with St John’s Gardens also holding a series of events to celebrate the occasion. The last day of the festival, May 17th, may be the crucial date to make sure you have saved in your calendar. Falling on ‘Light Night,’ which was a huge success last year, the library will be open until midnight, hopefully with lots of fun goings on throughout the evening! If you’re interested in joining in and holding your own event, you can apply via www.liverpool.gov.uk/inotherwords. See you there!